Valentine Jumper https://www.review-australia.com/global/valentine-jumper-red/RE19KW129.RERED001.html This soft, bright red Valentine Jumper will be your great autumn love. Featuring an oversized cosy, asymmetrical collar to curl up into and incredibly soft to touch, this light knit is adorned with ribbed sleeves and a number of delicate patterned hearts. 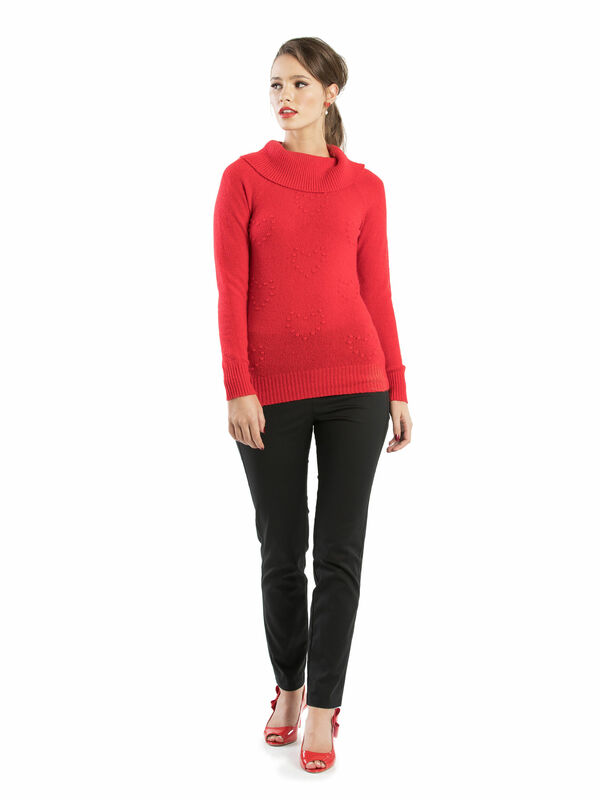 This soft, bright red Valentine Jumper will be your great autumn love. Featuring an oversized cosy, asymmetrical collar to curl up into and incredibly soft to touch, this light knit is adorned with ribbed sleeves and a number of delicate patterned hearts.